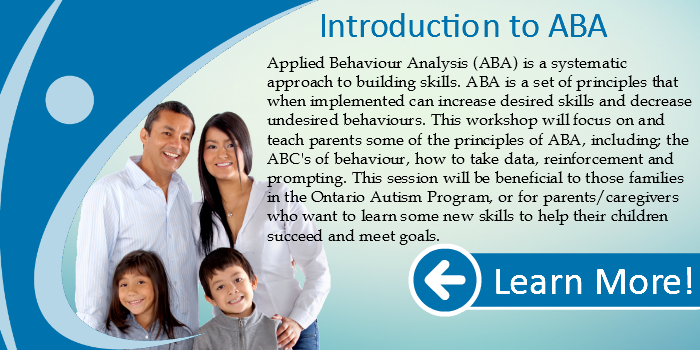 Applied Behaviour Analysis (ABA) is a systematic approach to building skills. ABA is a set of principles that when implemented can increase desired skills and decrease undesired behaviours. 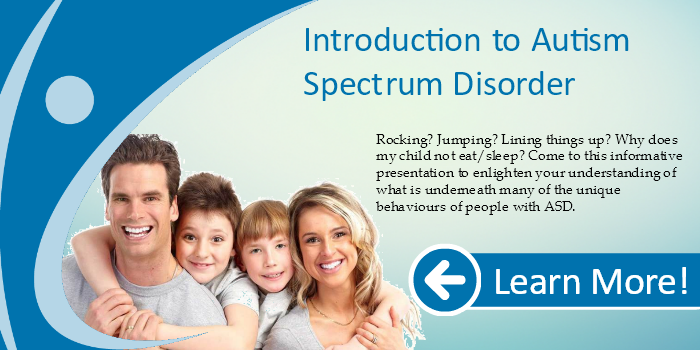 This workshop will focus on and teach parents some of the principles of ABA, including; the ABC’s of behaviour, how to take data, reinforcement and prompting. 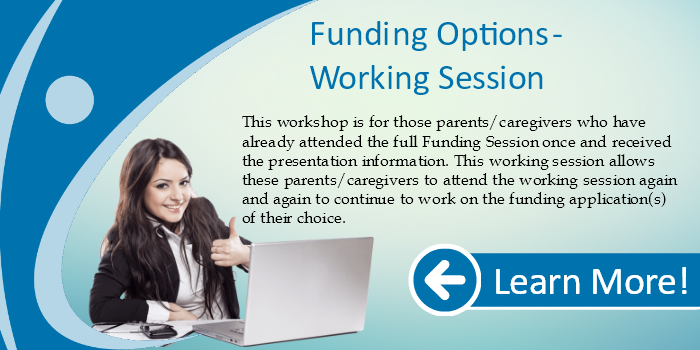 This session will be beneficial to those families in the Ontario Autism Program, or for parents/caregivers who want to learn some new skills to help their children succeed and meet goals.